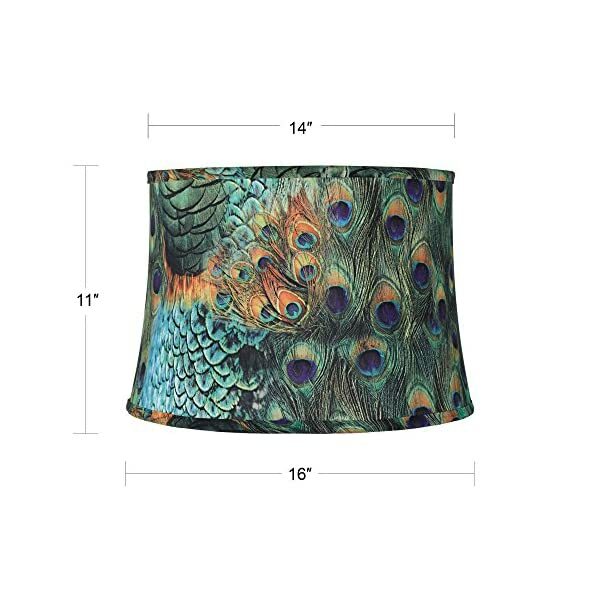 14″ across the top x 16″ across the bottom x 11″ on the slant. 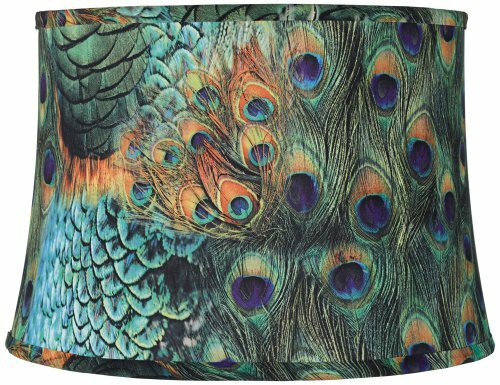 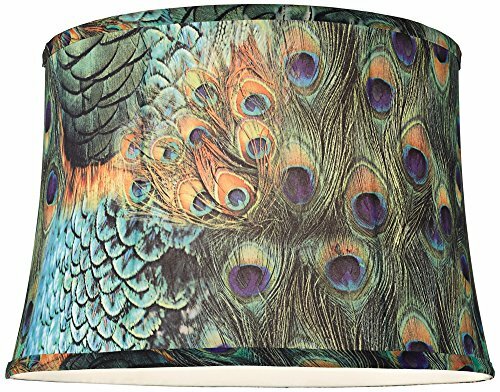 Softback drum lamp shade with colorful peacock feather pattern. 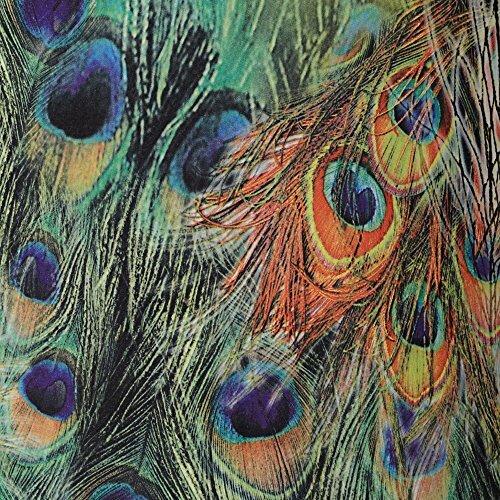 Cotton poly blend fabric, self trim, white fabric liner. 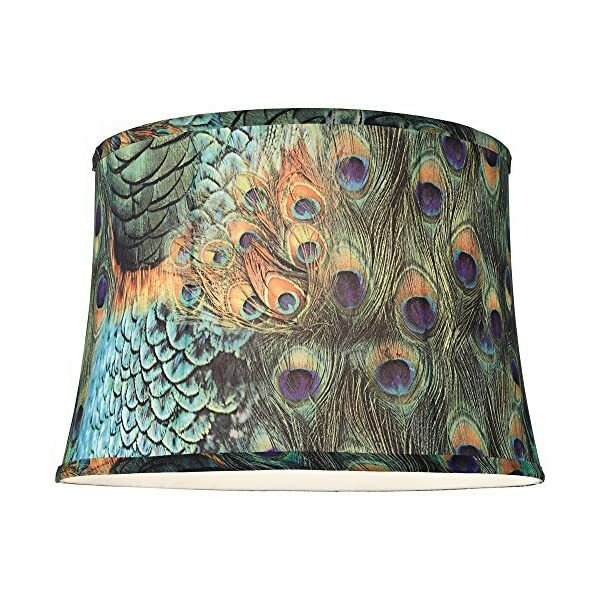 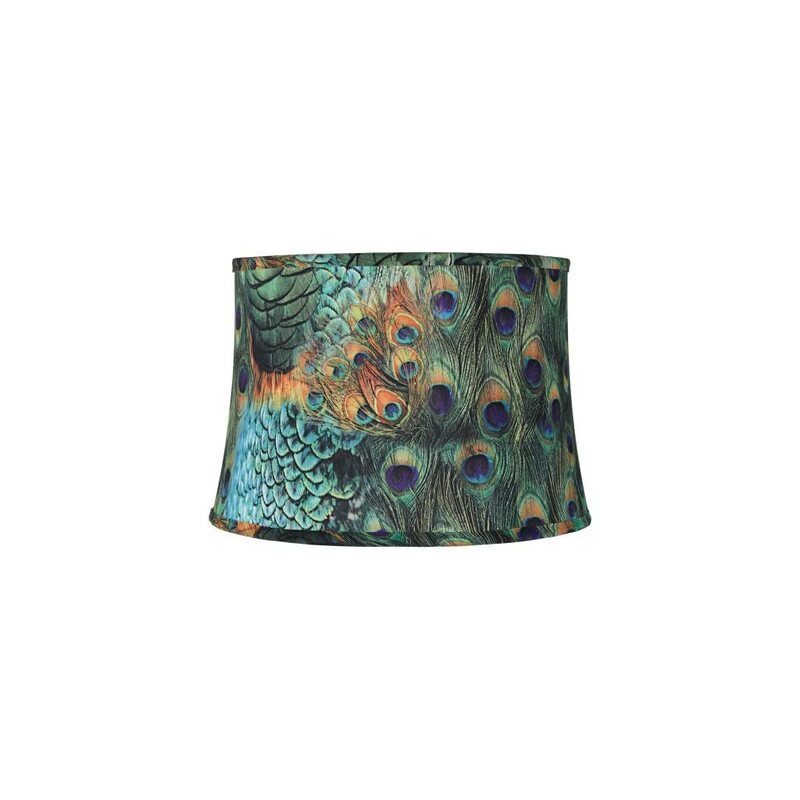 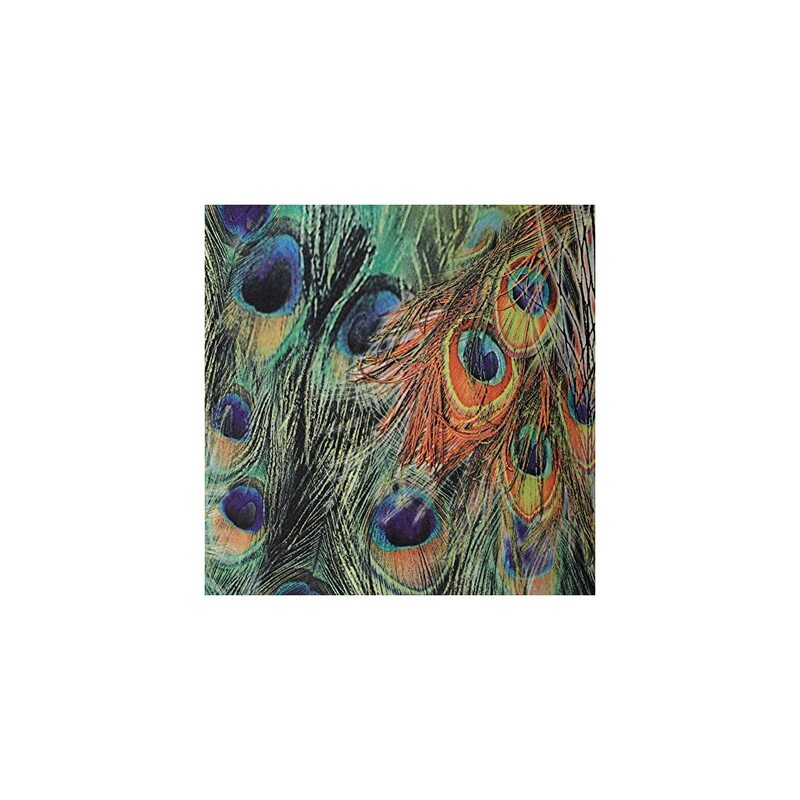 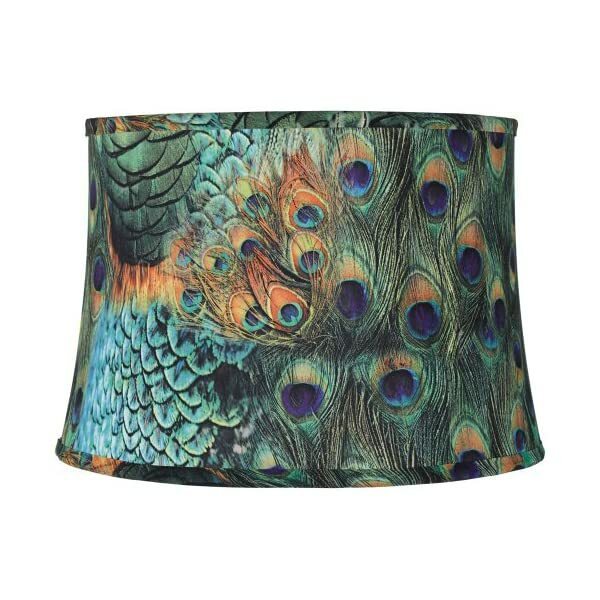 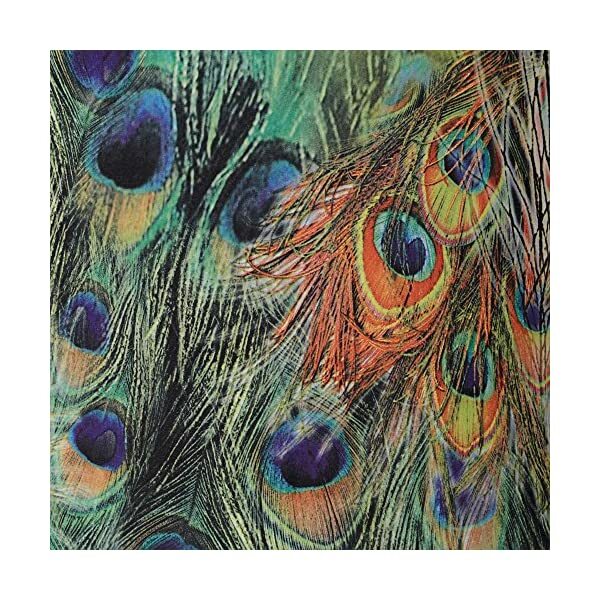 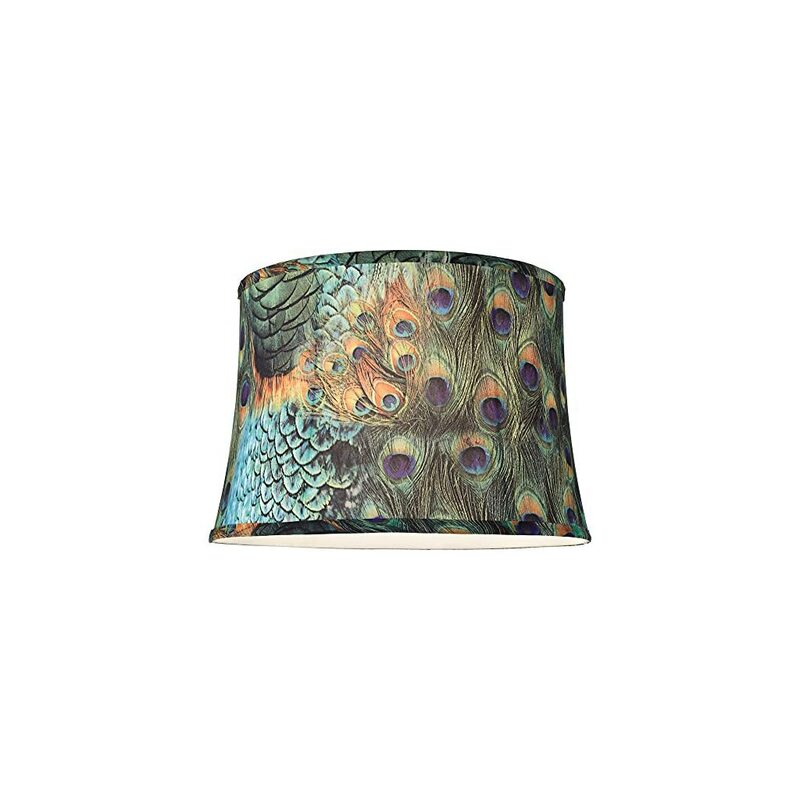 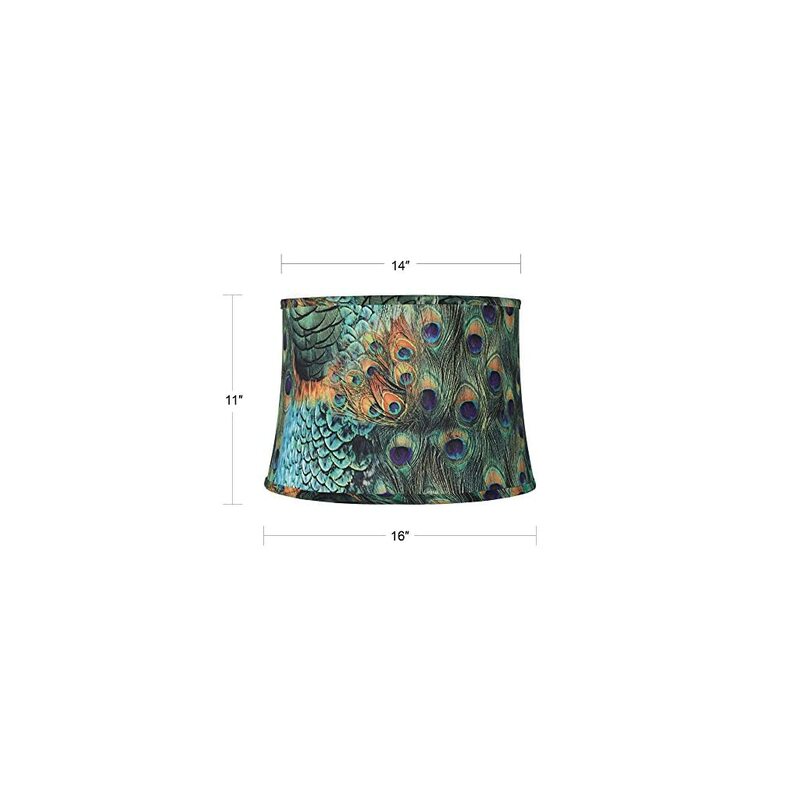 Bring drama and an exotic element to any table or floor lamp with this peacock drum shade. 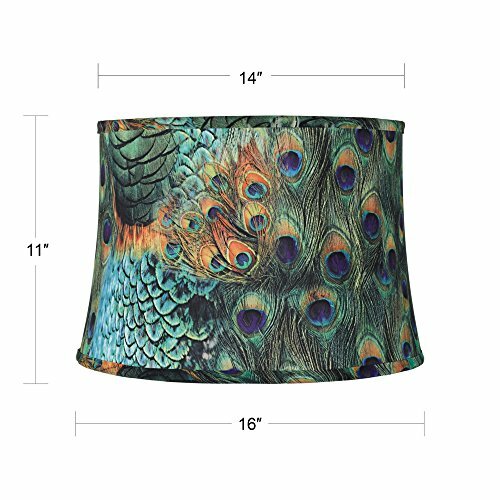 The feathered print is made of bright inexperienced, purple, blue, and orange hues on a cotton poly blend fabric, and self trim is helping to complete off the sides. 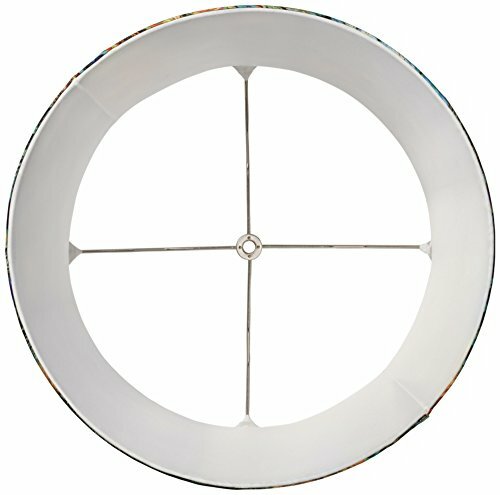 – 14″ around the most sensible x 16″ around the bottom x 11″ at the slant. 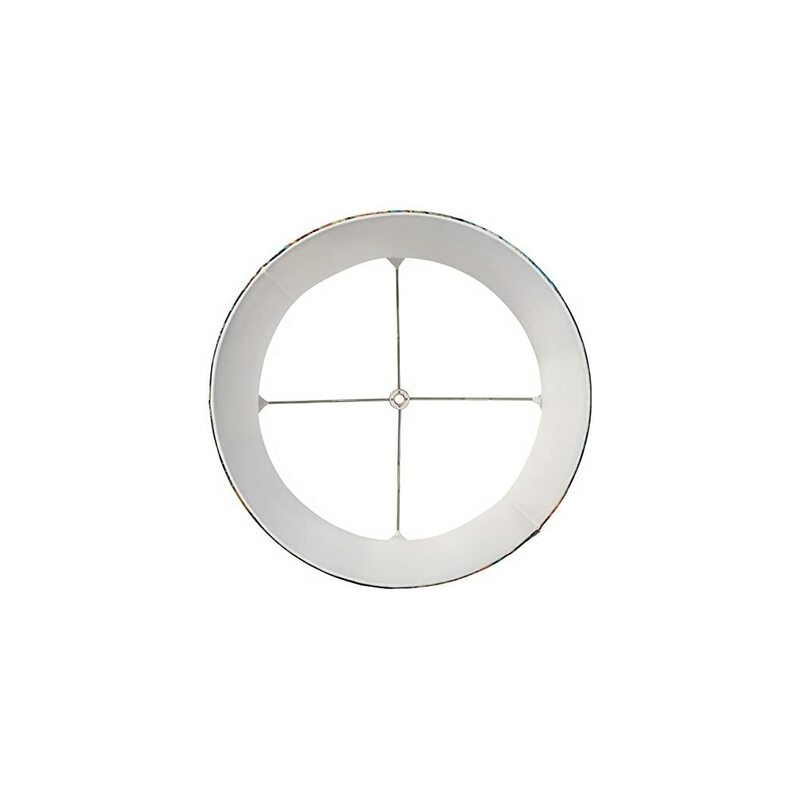 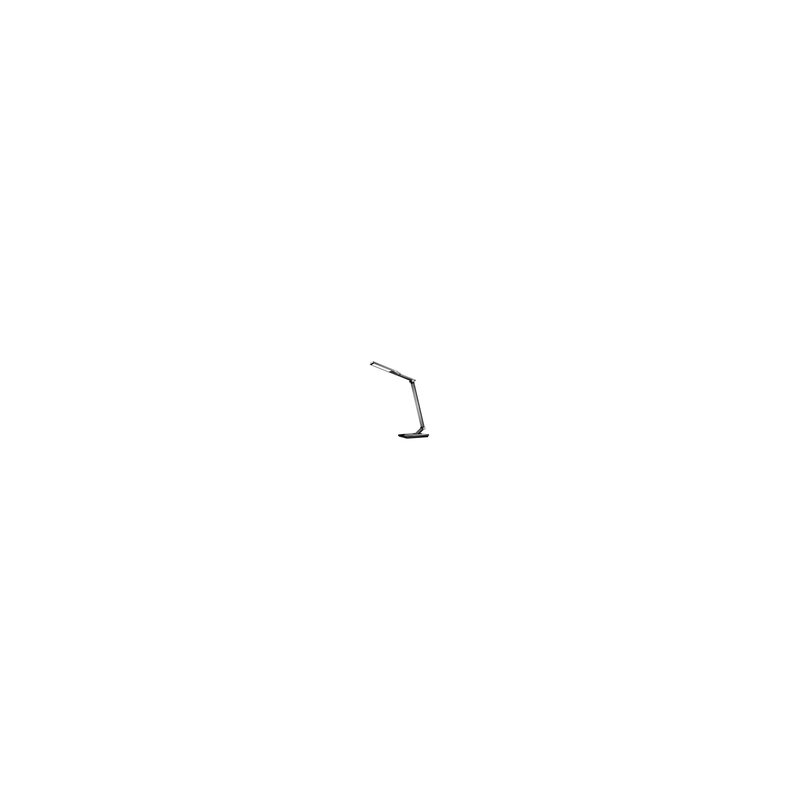 – Chrome finish spider healthier. 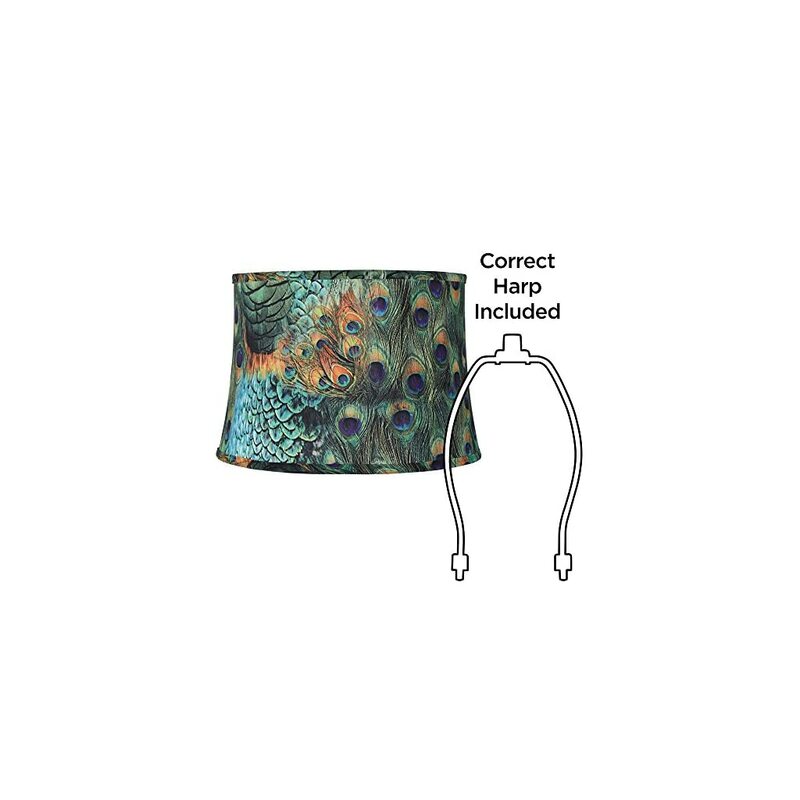 – Design by Springcrest Collection™; The proper size harp is included free with this shade. 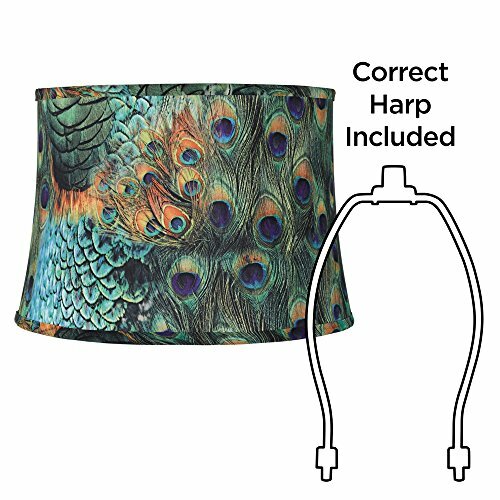 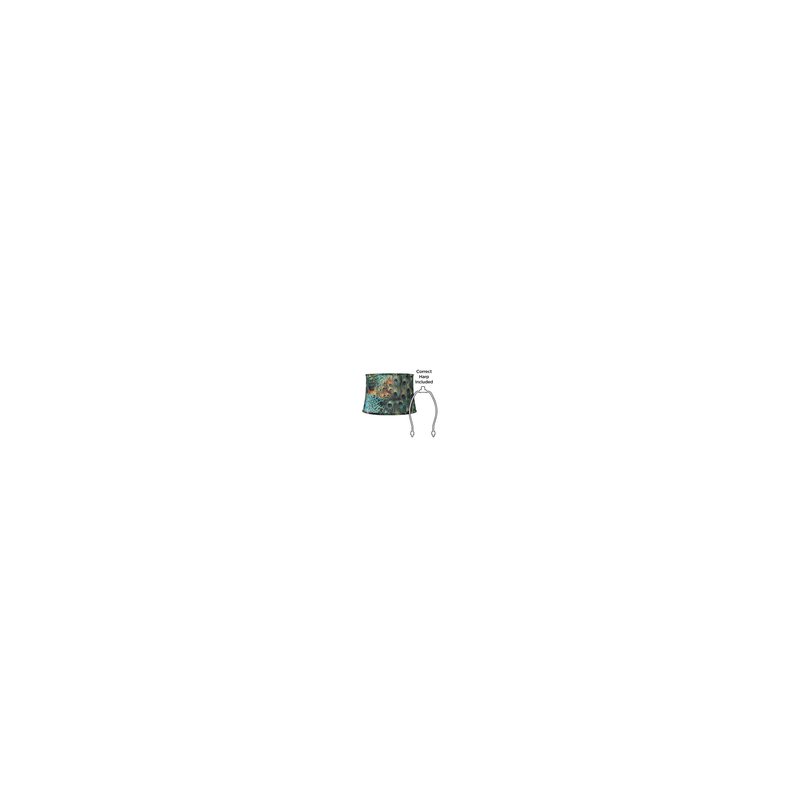 – The proper size harp is included free with this shade. 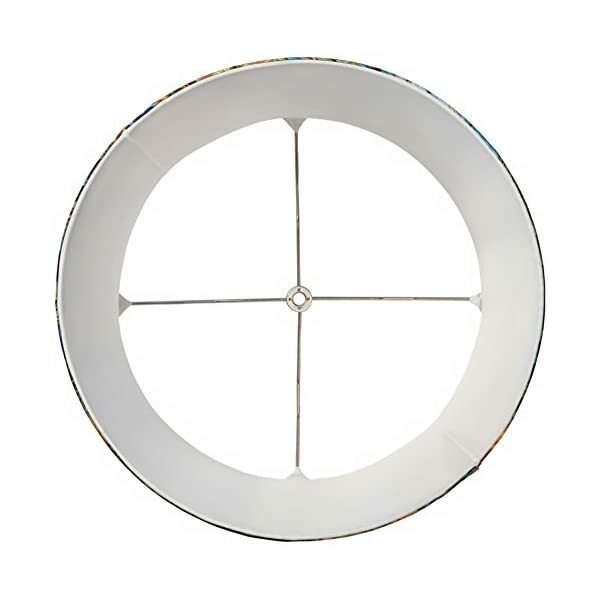 14″ around the most sensible x 16″ around the bottom x 11″ at the slant. 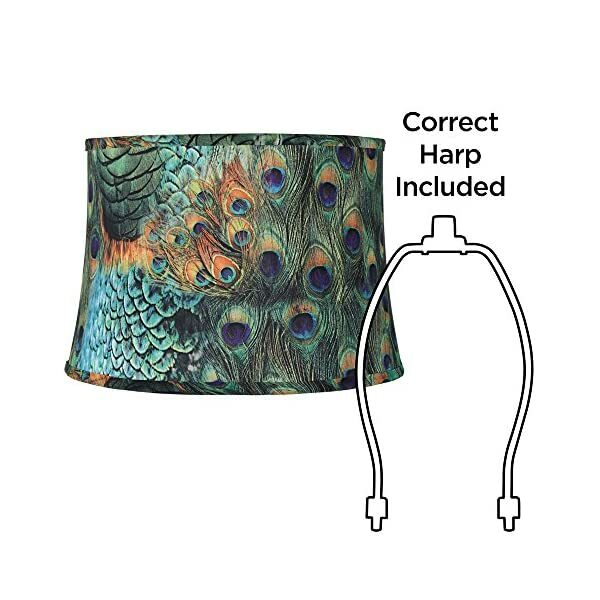 Design by Springcrest Collection™; The proper size harp is included free with this shade.